Simply inviting place to enjoy family, friends and couples. Without architectural barriers, designed for a pleasant stay and rest in Nemesio Etxea you will find a place where you feel at home. Sit and relax listening to music, watching a movie or reading about this valley and its mythology, facing the fireplace, or in the cool summer evenings, is another attraction of this farmhouse. Its 2 rooms, large and full of light, the guest suit their needs crib, barriers for the kids, double or single beds ... and all with the comfort and quality guaranteed and clothing bed. We have pantry, where you have at your disposal kitchenware and small appliances. The bathroom, with shower adapted for people of low mobility, large and personal hygiene products and towels. More than an accommodation, a simple and cozy house so our guests feel at home and enjoy both their privileged environment and stay in it. Bathroom. Guests have towels, toiletries and shower kit, hair dryer and everything you need. At the foot 3 Natural parks, oak, beech, chestnut and espectalular nature around us. The valley crosses the highway north, which connects us with Alava, Pamplona, ​​Guipuzcoa and France. Less than 1 h. 15 '' you can visit these great cities, monuments, Camino de Santiago, chapels, wineries, cider bars, beaches, museums, parties, all available to our guests. are many outdoor activities in the valley. Hiking, can enjoy the Old Camino de Santiago, Tour millenary Robles, Tour dolmens, by Bordas Pastors. Bird watching, small forest animals. Urbasa, an underground spring, with wild waterfalls, turquoise pools. Cimas 1500 m altitude, climb and observe the landscape, the valley. 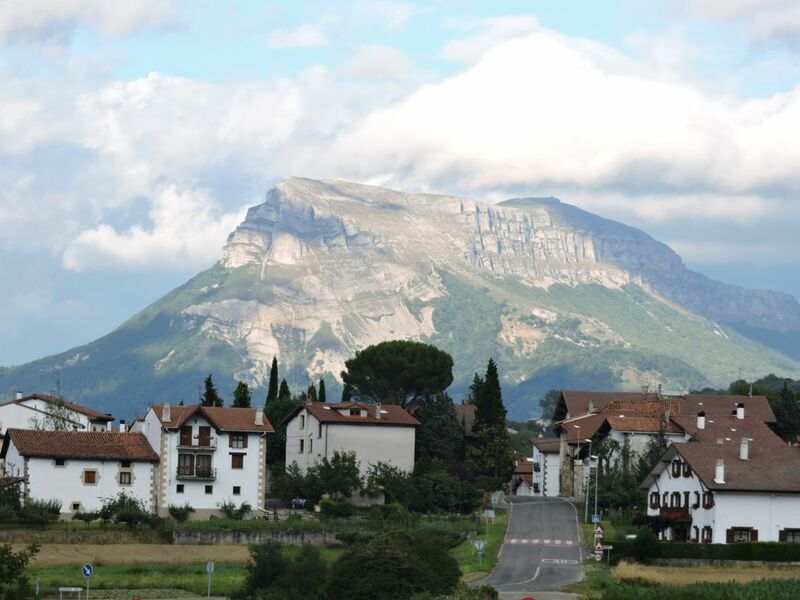 A place dotted with hermitages, small buildings above gunwales of pastors, Romanesque churches and shrines, as their driveways, and Zaldibi Berrenoa of the oldest known in Navarra. And not without being less .... our villages, cheese making, craft and curds, of latxa. All this and more is what you'll find in this Cottage. Sabemos que pueden aparecer pequeñas preguntas sobre el alojamiento, el entorno, los servicios, actividades, etc antes de su llegada a la Casa rural, por ello, le animamos a preguntarnos cualquier duda que tengan, encantados de poder resolverla y de poder ayudarles a organizar su estancia, y a guiarles sobre temas como ropa que deberán utilizar para realizar pequeñas o grandes paseos, reservas anticipadas de entradas a cascadas, visitas guiadas gratuitas por ser nuestros huéspedes, etc.